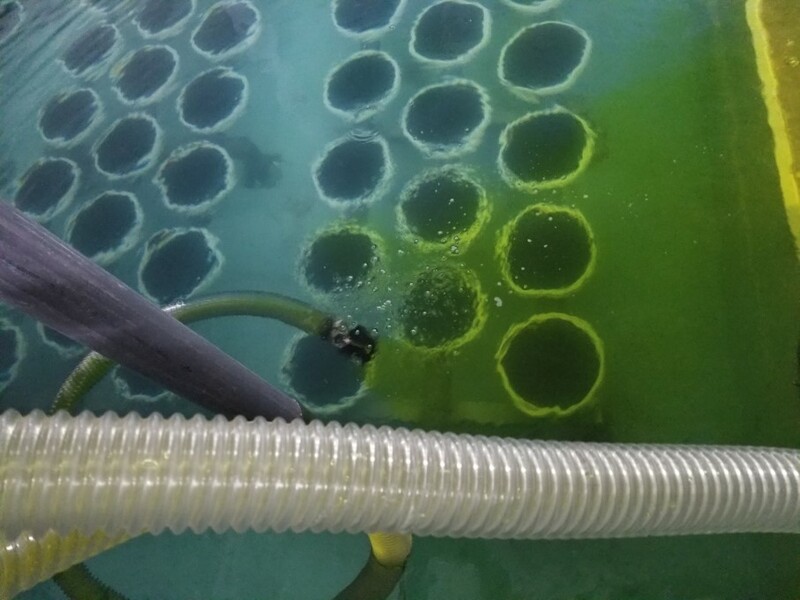 ClorDiSys Solutions was contacted to decontaminate fifteen aquaculture tanks and their corresponding sump and piping system due to a Mycobacteria Marinum outbreak, all while filled with water. The decontamination of the tanks and piping was performed by mixing in a total of 1980 gallons of 3000 ppm liquid chlorine dioxide (EPA registration #75757-2). 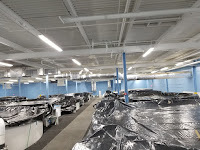 Plastic sheeting was placed on top of the open-air tanks in order to reduce the head-space above the water and reduce the off-gassing of chlorine dioxide. Concentration measurements (dissolved in solution) were taken within the tanks for efficacy and in the air outside of the tanks for safety. 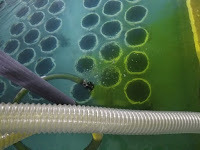 A concentration of 10ppm was targeted within the water in the tanks, then held for over four hours. Upon completion, air bubblers were used in order to remove the gas from the solution and ventilate it out of the tank room. Once concentrations within both the air and water fell to 0.0 ppm, the tank room and aquaculture tanks were deemed safe for use. Upon completion, the aquaculture facility was able to safely resume the farming of fish. The decontamination of the fifteen tanks and piping system was a success based on post-decontamination sampling. No contamination or health effects have been noticed in the 8 months since the decontamination process took place. 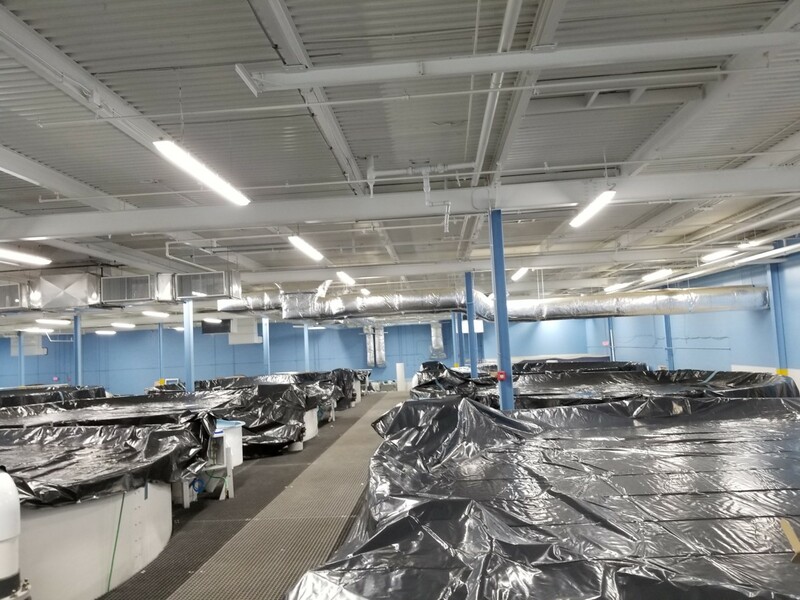 Aside from aquaculture facilities, parallels can be drawn to other water systems that would be of benefit to this type of decontamination process. With the growing use of zebrafish within research facilities to the recent increased use of automated watering systems, there are numerous applications where water treatment is a growing concern. 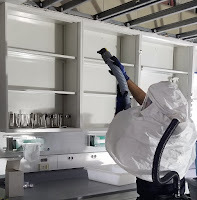 If you are attending the USDA ARS 5th International Biosafety & Biocontainment Symposium, additional information about this project will be presented as a poster, #47 DECONTAMINATION OF AN AQUACULTURE FACILITY USING LIQUID CHLORINE DIOXIDE. Interested in more information about CSI-3000 and its wide range of applications in various industries? Click here.